We welcome guest clinician and conductor Tesfa Wondemagegnehu to our campus for a two-day residency on October 10-11. 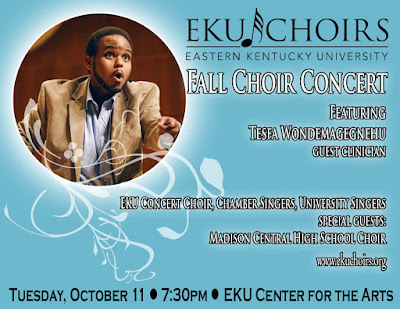 Join us for our fall concert on Tuesday, October 11 at 7:30 pm at the EKU Center for the Arts. 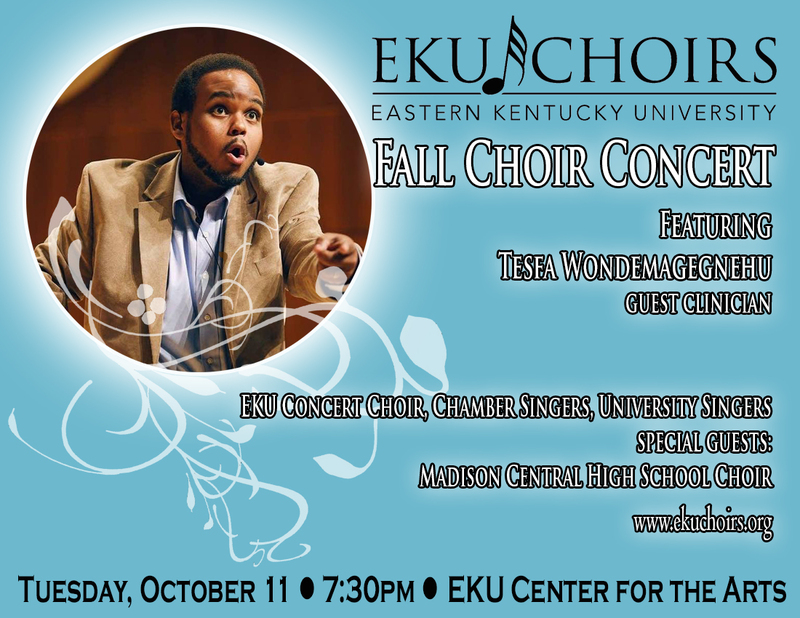 The EKU Concert Choir, Chamber Singers, and University Singers will be joined by the Madison Central High School Choir. Admission is free.